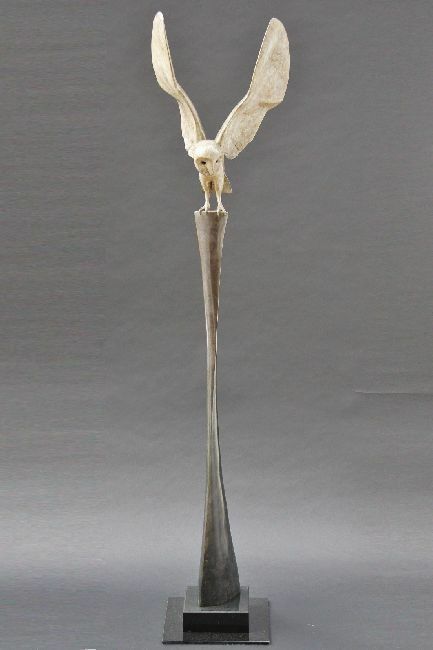 Carl Longworth, British sculptor, approaches traditional subjects from an innovative angle. His imaginative treatment of natural history subjects is shown through creative lines and distinctive patinas. While modern in approach He has moved away from his early figurative work towards devoting his enthusiasm for wildlife studies. Thus he approaches each natural subject with the same attention to muscle tones, posture, and expression as befits a figurative artist. Carl's impeccable skill and beautiful compositions, capturing the essence and vitality of each subject, has rapidly made him one of the most sought after young artists of his generations.